The first British bred F1 White Sprouting Broccoli which will give an abundance of attractive tasty spears in Feb-March. 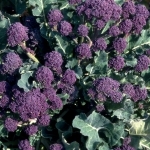 Sprouting Broccoli has mainly small, purple or white heads, it matures slowly and can occupy the ground for almost a year. 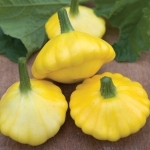 Calabrese are smaller, compact plants producing larger crowns. 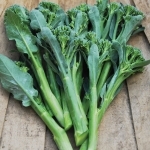 Most of the broccoli sold all year round beside the cauliflower in the supermarkets is actually calabrese. 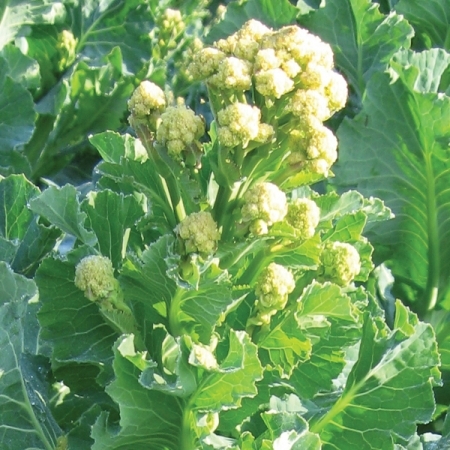 Sow Sprouting Broccoli seeds from mid April to end May to plant out in June or July For early production, sow indoor in March for planting out in April and harvesting in November. 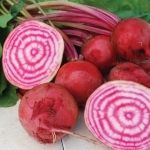 For direct sowing, sow from April to mid June for harvesting from January to May. Expected germination time is 7- 12 days, depending on soil temperature. 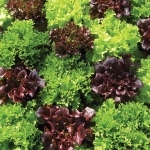 For large Calabrese crowns, sow under cover from the end of March to mid July for harvesting from July to September. 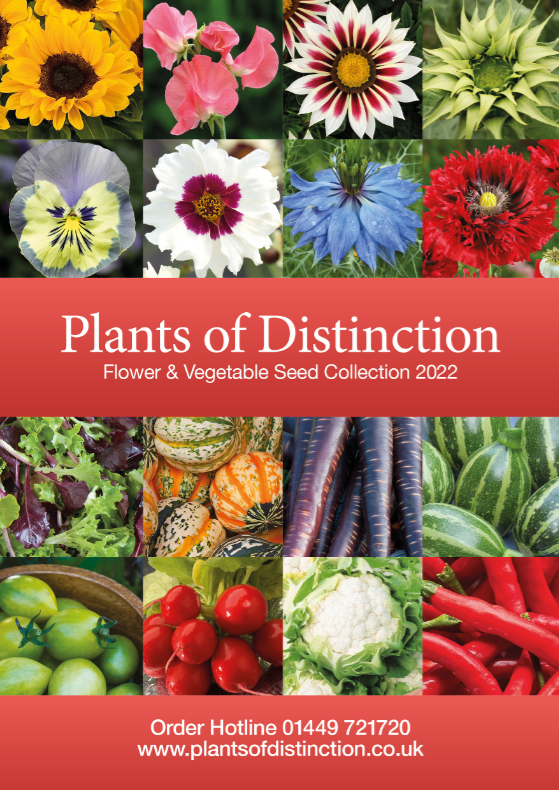 For direct sowing, sow from April to June. Take care to avoid roor disturbace when transplanting, bare root transplants are prone to bolt. For smaller crowns suitable for freezing, sow from March to mid May direct-drilled and harvest from June to September. Cut the main crown while the bud is tight, sideshoots will then develop. 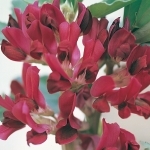 The heads must be cut whilst in tight bud; once per week in cool weather, and twice a week is essential in warm weather. 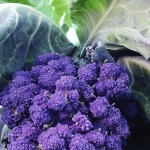 Broccoli and Calabrese, in common with other brassicas, need protecting from slugs, pigeons and caterpillars, all of whom will attempt to devour the crop before you can. 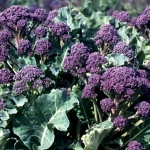 Broccoli and Calabrese like a fertile, well draining, moisture retentive, firm soil.